Well this is interesting. 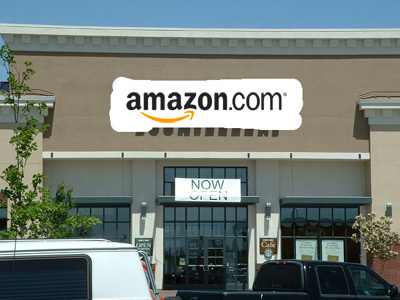 It looks as though Amazon might be looking into competing in the retail space – you know, with actual stores you can visit? With a growing portfolio of e-reader and tablet devices as well as exclusive titles and publishing deals, Amazon could be primed to create a retail store front similar to Apple’s wildly successful retail outlets. This is certainly ironic – as soon as Amazon pushed Borders and ma & pop bookstores out of business, they are now looking to compete in the same space. A portion of this can be attributed to Amazon-exclusive publishing titles, which retailers Barnes & Noble and Books-A-Million will not carry in their stores. With Apple now competing in the textbook publishing market, it certainly looks as though the amount of competition in this online store/retail store/publishing space is going to heat up in the coming months.